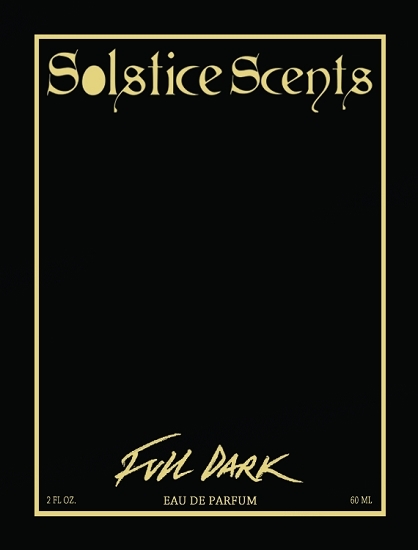 Full Dark represents the blackest pitch, the negative space, the lightless void. It is a heavy and heady fragrance featuring amber resin, saffron attar and absolute, black rose, black musk, oud, fossilized amber, ambergris (vegan), leather, smoked amber, golden amber, and a little bit of spice. 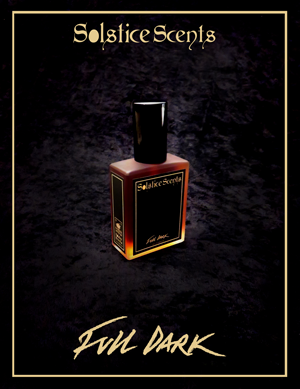 Full Dark is a musky, slightly animalic amber perfume that is very full-bodied and base note heavy. It is long lasting and dense. Top notes of saffron and velvety black rose emerge with a rich amber musk upon initial application. The oud and saffron give a supple, buttery smooth leathery volume to the scent. 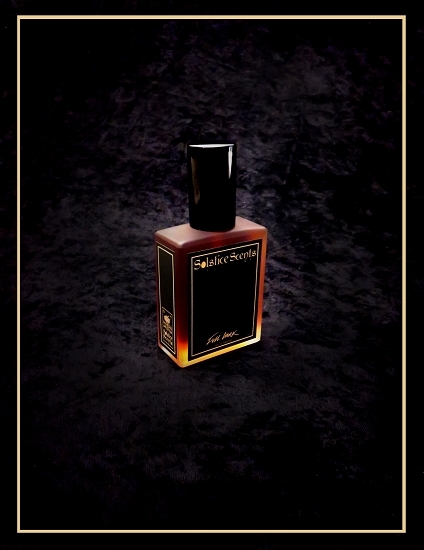 Paired with the black musk, oud and ambergris, an animalic undertone ebbs as the perfume warms on the skin. Fossilized amber and smoked amber resin give a deep, smoldering pitch in the background. The dry down is primarily a very rich musky amber with traces of saffron, oud, bubbling amber resin and leather. The spices (primarily clove) add a little sweetness and lift. Challenging but wearable, complex, deep, mysterious and feral.